The cornerstone of education at Moss Landing Marine Labs is the Masters program in Marine Science. The degree requires interdisciplinary course work and a thesis based on independent research. Prospective students in Physical Oceanography should contact Professor Tom Connolly to discuss research interests before applying. To graduate, students submit a final thesis for approval and present their thesis in a public seminar. An approved thesis proposal is required as an intermediate step. Past M.S. theses illustrate the depth of student research and broad range of possible topics. 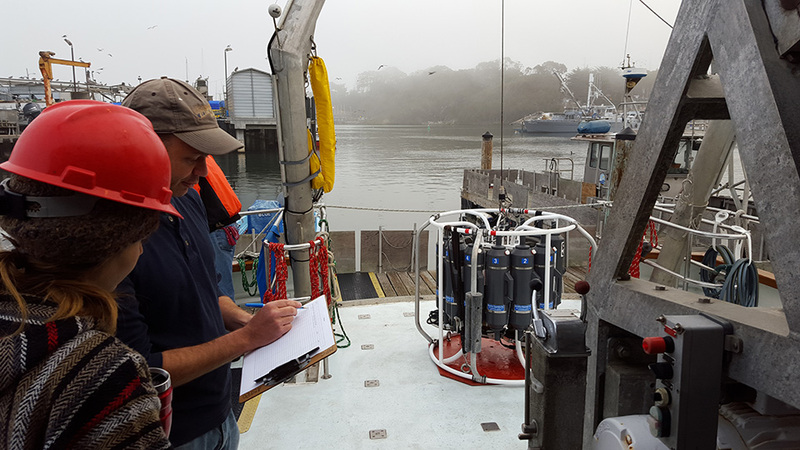 First year Physical Oceanography students typically take MS 142: Physical Oceanography and MS 263: Data Analysis, as well as two core courses in other disciplines of marine science. Second year students take more specialized courses geared towards their thesis research. The MLML graduate program page, and the graduate program handbook, provide details on expectations for course work and research.